Selling products or services offline allows us an opportunity to get in front of our potential customers, who are in the research phase of the buying cycle. During that face to face or phone call, we have the opportunity to uncover their needs and can, in turn, sell to them based on those needs. Online, however, you have to find a way to capture their attention without the opportunity of a phone call or face to face. In a business such as a storefront prospects come to you, but online, you must go to them. Maintaining visibility on the internet in as many places as possible is crucial today. Additionally providing these researchers with the information they need to make a buying decision on your website, is critical to your success. But how do we capture these researchers in that research phase, and then guide them safely to our camp? Well, the first and most obvious way is thru the use of keywords and ranking. However, gaining a visible spot in the SERPS, isn’t that easy. If you’re in a competitive market try opting for less competitive keywords and instead try keywords a “researcher” might use. Research searches are more question focused, such as “How do I..?” or “How to …” This may provide less competitive keyword options for you to rank for keywords related to your business. 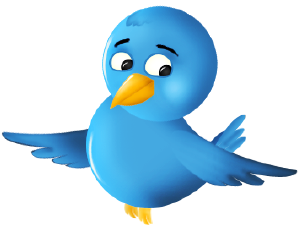 You may not know that Twitter, just like google, is a search engine? Thru the use of hashtags, Twitter has created it’s own internal content organization to help researchers easily find posts related to any chosen topic. If you are an avid tweeter you should consider adding at least one hashtag to your posts to begin an organization system whereby others, like yourself, can quickly pull up content you are looking for. Did you also know that you can browse any topics in real time, meaning you can actually watch conversations happen? Have you considered watching conversations related to your brand or your products and services? Here’s an example. Let’s say you’re a mechanic in Phoenix and are trying to drum up new business. 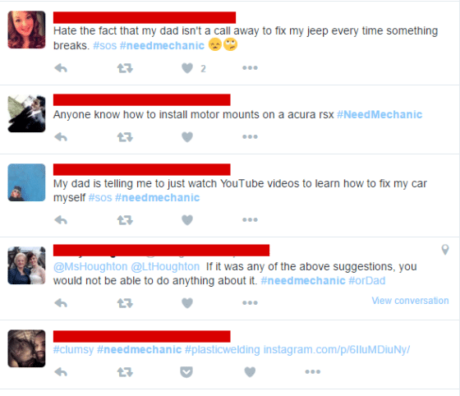 Using twitter as your prospecting tool, you type this into the search: #needmechanic. The image to the right includes the actual results from that search. Now, once you’ve garnered what appears to be an approachable list, you can choose from any number of ways to connect with them and present your offer. And by offer, I don’t mean telling them you’re a mechanic and would gladly fix their car for them. I mean slipping them a special discount offer and then of course following them, so that they can find you tomorrow when they eventually decide to take you up on your offer! So what is all this about Klout and your Klout score? Aren’t you just a little bit interested to know how popular you are on the net? Well maybe I should rephrase that. It’s called “influence” and the question is, how much of it do you have? It’s a rather interesting concept but an easy target for skeptics claiming to be less vane. Maybe they are but I’m guessing fear might also have just a small hand in it. After all, your Klout score could be more than just a blow to your ego, it could be career ending for some whose business is internet based. But for those who are traveling on the vain high road; would it make any difference at all if I told you that I already know your score? So does everyone in your social network that chose vanity over high road. The cat is out of the bag, It’s too late. After ignoring it for as long as I could- I finally signed up. With one eye closed I waited in anticipation for those deep orange numbers to label me a nobody, squashing all my inflated ideas that I might be someone. As it turns out, I’m far from a celebrity, but thankfully, on the grid. 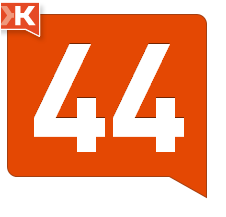 What is Useful About Klout? Despite the site’s lack of meaningful interaction or activities like you find on Facebook or even twitter, I’ve actually found it to be a useful filtering tool in my list of an almost unmanageable amount of twitter followers. The ability to view each follower’s Klout score is a second affirmation of those I suspect as spammers, hackers or pestilent space wasters. On the other hand, it also gave me some insight on who I should be paying more attention to in my social circles. I have to say I was shocked on more than one ocassion to find , who I may have ignored in the past, now had my full attention. Maybe that’s vain to some, to me- it’s just useful knowledge. If you haven’t already jumped on the social media speeding train, do not wait another moment. This is not a fad that is going to die out anytime soon. I just recently saw an article stating Facebook as the 4th largest website in the world- in the shortest amount of time. The truth, as hard as it may be for businesses to swallow, is that customers, (the ones that buy your products or services) are involved in social media and they much prefer to do research and make their purchases online. The reality is if you don’t get involved in social media immediately it may cost you a whole lot more than you would lose by at least trying it. Guessing that your next question is probably going to be “how?”, I have come prepared to offer some advice. Don’t try to do it alone by researching and finding your way in the dark. That will most likely be a lesson in futility and cost you more blood sweat and tears than you can stand at the moment. Hire a professional who will lead the way, instruct your team and run with your brand in all the right directions. Hiring a managed service provider that can manage your campaign is a wise move and money well spent. Think of them like a temp or part time employee because they will need to integrate with your company to be effective. Consequently this happens to be a managed service providers strength within their market; their ability to integrate and manage your business over a long period of time. Success in social media will not happen overnight and will not happen any sooner by simply thinking about it. Getting a team of individuals involved in something new can be very trying and time consuming and my guess is you have plenty of other business related activities to keep you busy, like running it. You said you wanted to be successful didn’t you? Facebook has launched their best widget ever. Finally facebook has come out with something to support the company pages that allows you to place a box on your website. This box contains streaming content and a button that will allow people to become fans of your Facebook page right from your website. Check out my side bar where I have placed it. The best part of it is that the box installs easily without any hassle’s, even on a blog. All I did was found the template page for the side posts and placed the very short code on that page. First time it worked perfectly which seems rare when installing new code on a blog. The widget also allows you to install it with or without streaming content or with or without the fan list. The box does tend to be a bit large so unchecking one of the two features from the company page where you originate the code will help to make the box a bit smaller. This is a great new feature both for Facebook and for the Company pages because it allows companies to create a following and initiate interest in their Facebook page even when the user is not logged in or actually on Facebook at that moment. This will undoubtedely arouse even more interest to join facebook and to get them involved in the company pages that were until now sort of a deserted island on Facebook. It is nice to see Facebook offering some support for these very valuable and free means of company advertising. It seems until recently not many even knew about this area of opportunity on there. To get the code: Go to your company page. Directly underneath the profile picture or logo are several options. Click on “add a fan box” and facebook will automatically generate the code that you install onto your website or blog. Installation on your site will vary depending on where you want it. But all you have to do is paste the code on the page you want. It is as simple as that. Alter the code to change the box size or change the amount of fans it shows. If you want the box smaller and you have a lot of fans, then changing the number of fans to show will help to make the box smaller as well. Happy fan collecting! I don’t know about you but it seems like everytime I have something really great to post and I attempt to simply log in to Twitter I encounter problems. Yes I am sure they are temporary, as we all know how fast Twitter is growing. But I have found another similar site that seems to work great and interfaces with Twitter. Plurk is a similar platform and operates much the same as Twitter. It’s greatest feature is the how it automates the linking of facebook and twitter. No plugins to download that sometimes work and sometimes don’t work. So just plurk away and see your plurk posts on facebook and Twitter. I love the world of automation. It’s almost too easy. Now what am I going to do with all this extra time?